RAILROAD.NET • View topic - What is/was this livery called and based on? What is/was this livery called and based on? Re: What is/was this livery called and based on? Should be early MTA livery (blue and yellow - state colors). Some pre-MNCR PC equipment had the same treatment. The state colors are now making a comeback on the MTA with the new buses and M-9s. The closest thing I can think of is the EL livery: http://www.railpictures.net/photo/141057/. The spear stripe is a classic EMD styling design. NorthWest wrote: The spear stripe is a classic EMD styling design. For the curious, there's a great coffee-table book called The Art of the Streamliner which goes into some detail about how EMD helped railroads develop distinctive visual identities - something they had never before considered in an era of darkly-painted (and quickly-dirtied) steam locomotives. Welcome to New York Penn Station. You are in a maze of twisty little passages, all alike. NorthWest wrote: The closest thing I can think of is the EL livery: http://www.railpictures.net/photo/141057/. 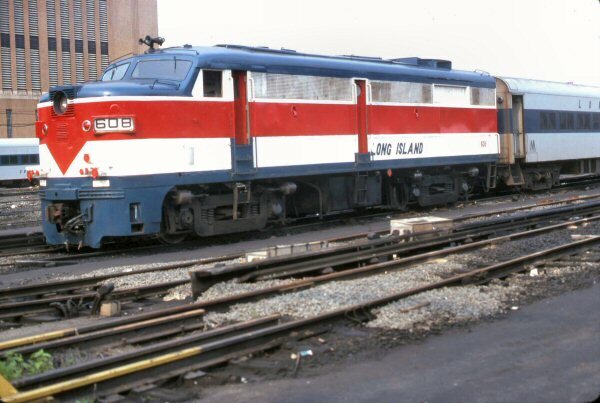 may attempt to model FA's using these two past LIRR color schemes. Thank you for the historical info! Appreciate it. 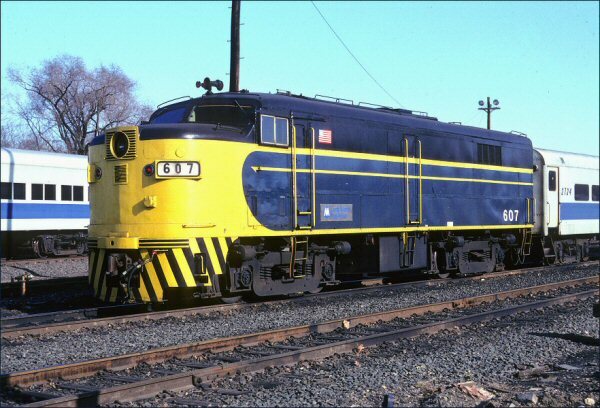 R36 Combine Coach wrote: Should be early MTA livery (blue and yellow - state colors). .
Jeez how many states have yellow/blue as colors? And is it that original to paint your trains that way?